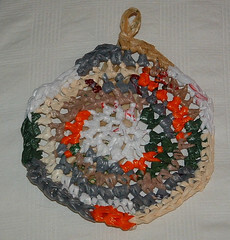 My plan is to crochet a few more of these camo plarn bags and donate them to soldiers for Christmas. Hopefully some soldiers will find it useful for toiletries or just as a little storage tote. The snow camo bag is my favorite to. It is really lovely. I am going to have to make one. The snow camo is very cool !!! 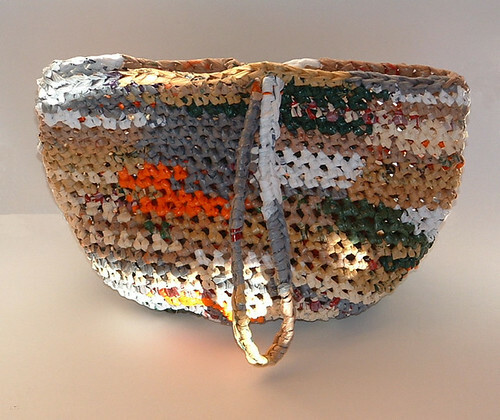 Cindy, I love this bag! As many times as I’ve seen you work with this stuff I have yet to even start a plarn project. I really need to do that! I’ll probably feature you on my blog here soon, so watch for it. As for blogging, I’ve got four blogs going now (link at my name) and hope to keep up with all at least a couple of times a week. How wonderful! I love your site and that you are so generous with your time/efforts. How darn neat! 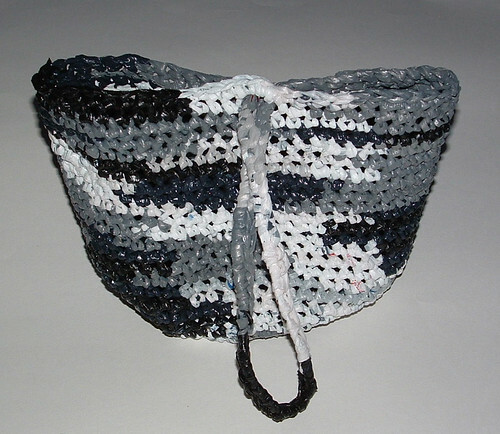 I love the ditty bag pattern and love all your plarn work… so to put these together is just too fun! I love this camo bag. I discovered your blog several months and am now hooked on crocheting with plarn. The possibilities for color combinations are endless!